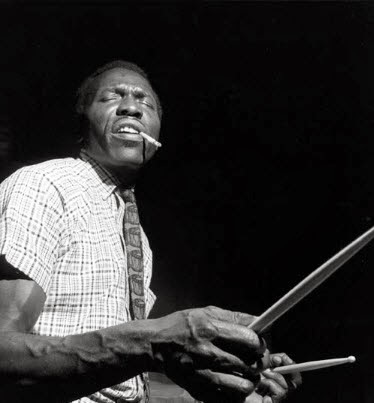 A long time ago I posted some lessons on my blog that dealt with some ideas and patterns that I heard Elvin Jones demonstrate at a drum clinic in Montreal, Quebec in 1999. I got a lot of positive feedback from drummers all over the world with regards to these posts. 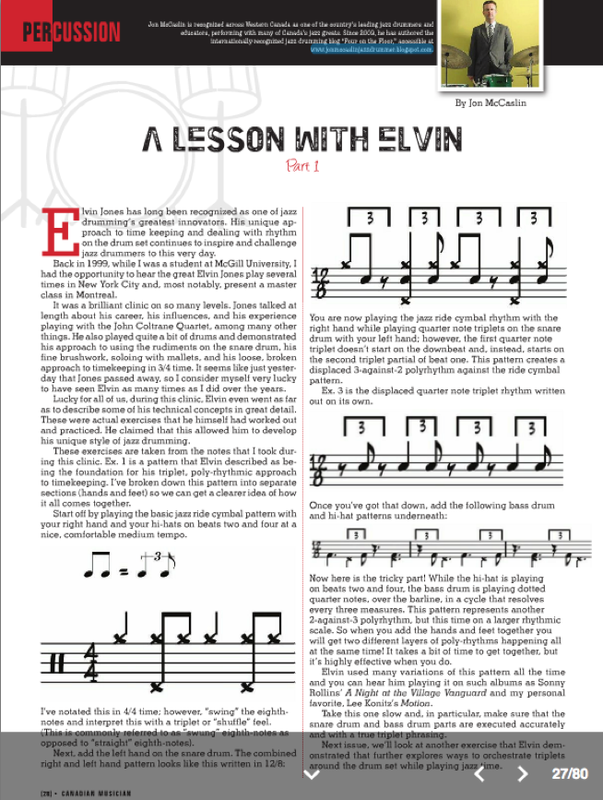 I've since revisited these lessons and they will be published in the upcoming issues of Canadian Musician magazine www.canadianmusician.com in my very own column. 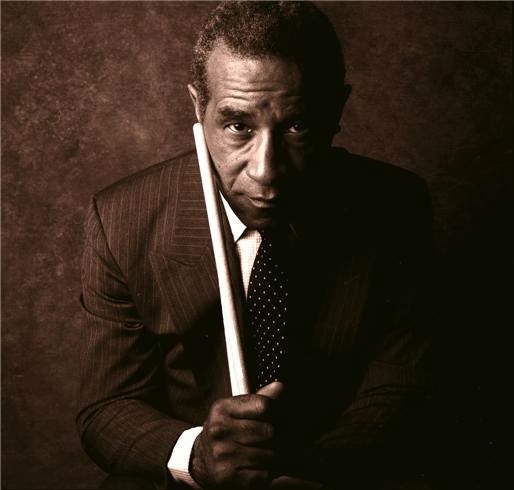 It was recently announced that the Library of Congress in Washington, D.C. has recently acquired the papers and personal affects belonging to the late Max Roach. 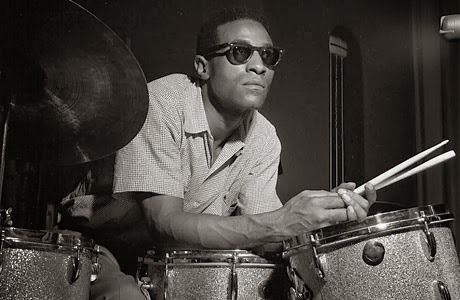 Being an eternal fan of Max Roach myself, I'm excited that this incredible collection of manuscripts, correspondences and what not will now be made available to the public and for research purposes. Speaking out loud here (and if I may be so bold!) I'd like to suggest that we just skip building a statue in Roach's honour and get started on a full-fledged museum! I've got a couple of really exciting gigs coming up this weekend and accordingly, some music to share today. On Friday night I'll be performing with Canadian Jazz icon and alto saxophonist PJ Perry in Edmonton at Festival Place. 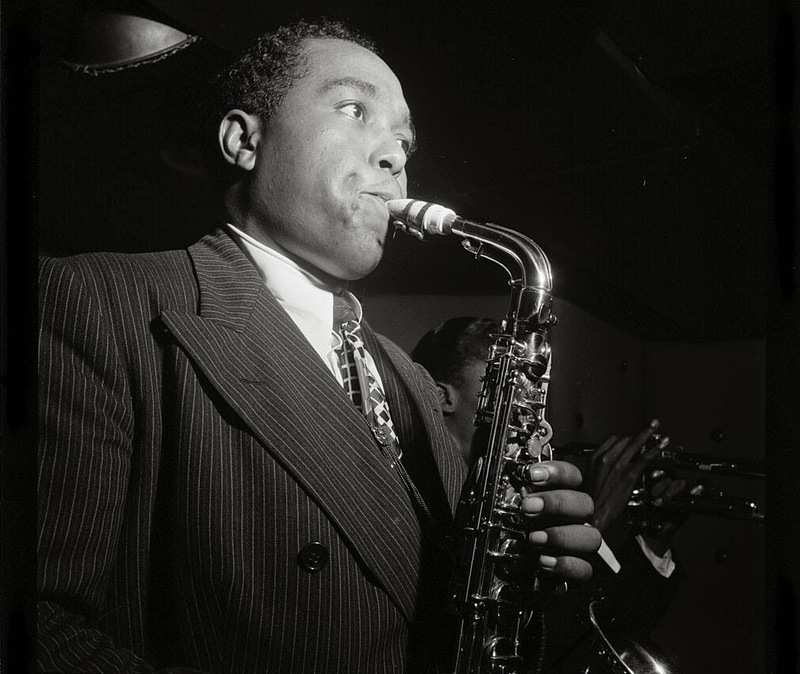 The concert is billed as a tribute to the music of Charlie Parker and I expect that PJ will be in his element and firing on all cylinders as per usual. After my hit in Edmonton I'll be heading to Saskatoon, Saskatchewan to perform with the Saskatoon Jazz Orchestra under the direction of trumpeter Professor Dean McNeill. 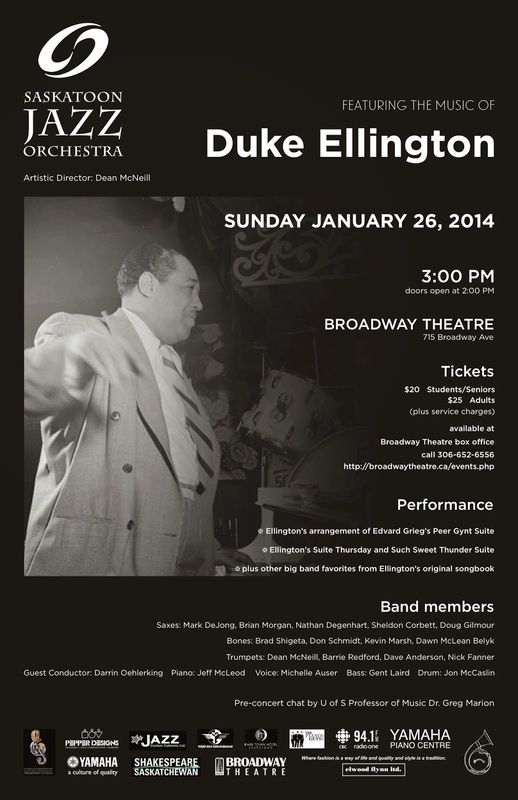 We'll be presenting a lot of music spanning Duke Ellington's career but most notably his epic work "Such Sweet Thunder". 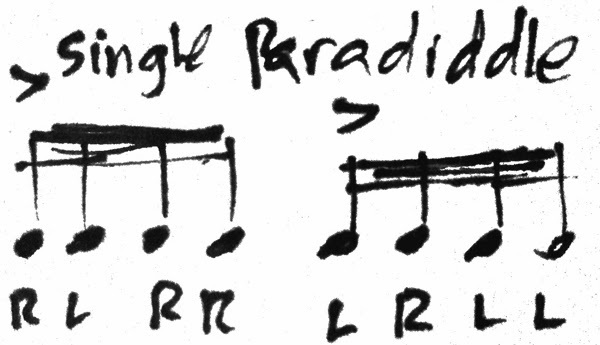 Welcome back and here's our first Monday Morning Paradiddle of 2014. Thank you all for your continued support and everyone here in the office is working hard to continue bringing you more useful tidbits of Jazz drumming information on a regular basis. - You've probably noticed the new Four on the Floor logo (see above!) I'd like to extend a HUGE special thank you to my friend Chad Anderson who came up with this one for us. Yes, t-shirts will be coming soon! - The kind people over at Crescent Cymbals were nice enough to put together some great and informative videos featuring some of their endorsers. I love the part where he says: "What it means to be a New Orleans drummer is that you have a lot of responsibility because in New Orleans drums is like a sacred instrument...it's an honour, it's a privilege, it's part of an elite group and you've got to keep it all together." I wasn't familiar with Ineke at all prior to reading this but now I am and going to make a point of checking him out! - Here's a thought provoking article about one of the most powerful rhythms known to mankind: The Clave! - What am I listening to these days? 1) What can you tell us about your musical background? How did you learn to play Jazz drums? I started my musical studies on piano when I was 5. I began drums at the age of 10, and started the clarinet shortly thereafter. Both of my sisters are musicians, and I remember hearing them practice when I was young. That was the first influence that made me want to learn music. I did study classical piano and clarinet extensively, and I achieved my ARCT (performance degree) on both from the Royal Conservatory of Music at the age of 16. In terms of jazz drums, my sister was a jazz saxophonist (before she became a jazz vocalist) and that piqued my interest in jazz. Beyond that, my first opportunity to play drums in an ensemble was in the Toronto All-Star Big Band. I was in that band for a number of years, and I knew from an early age (around 13 or 14) that I wanted to be a jazz drummer! 2) Who are your musical influences and why? Who are your favorite drummers? My musical influences are wide ranging. My first jazz influences were Miles Davis, Bill Evans and Oscar Peterson. I remember listening to a lot of those three when I was a teenager. I was intrigued by their complete control of their respective instruments, and as well by how hard they swung. At the same time, I've always listened to a lot of different music, and I believe that it all influences me in some way. I'm a big fan of classic rock, and also 90's rap and pop. Nowadays, I'm still influenced by musicians that are composing and performing in the scene. Some of my favourite current jazz musicians are Maria Schneider, Dave Douglas, Avishai Cohen (both the bass player and the trumpet player), and Kurt Rosenwinkel. I'm a fan of all these musicians for their playing, but also their composing, and their ability to continually evolve, and come out with new, different, interesting projects. In terms of drummers, there's a pretty solid list! 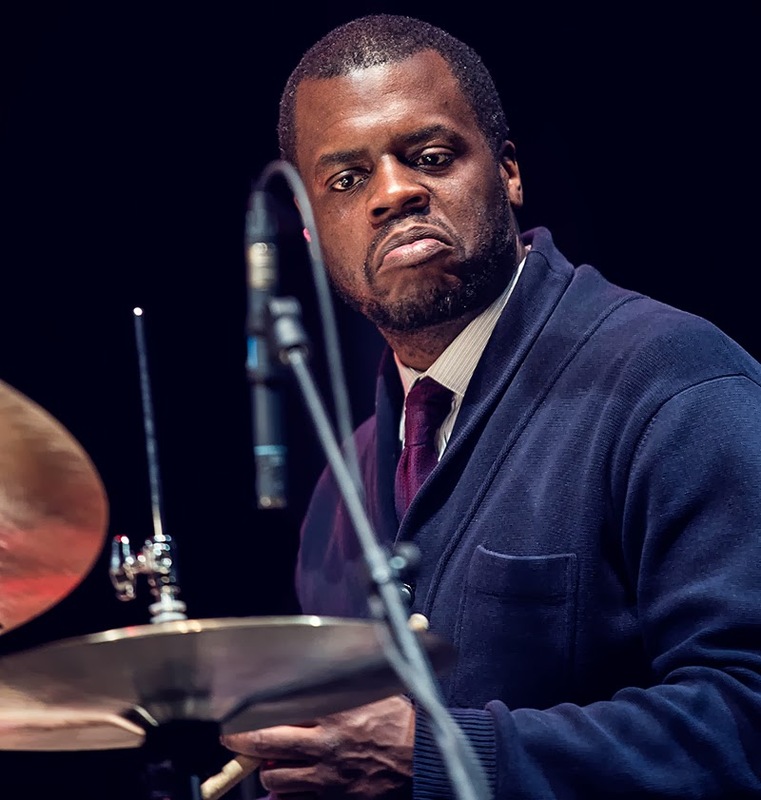 My favourite current drummers include Matt Wilson, Eric Harland, Ari Hoenig, Clarence Penn, Jim Black, Peter Erskine, Bill Stewart and Brian Blade. 3) Name your top 10 favorite albums and how they have influenced you. Avishai Cohen Trio - Gently Disturbed - Another mind bending piano trio album. Rhythmically incredible. Wilson sounds great on the drums. James Farm - James Farm - A fantastic collective. Eric Harland sounds amazing on this, and he gets great sounds from the drums. The whole band is killing. Kurt Rosenwinkel - The Next Step - This album is a work of art. A really well put together album, programming wise and playing. Wayne Shorter - Footprints Live! - Our first introduction to Wayne's new (at the time) band, and a great example of successful collective improv. Brian Blade. 4) What sort of things are you practicing on the drums and developing as a composer/arranger these days? On the drums, I've been working on exercises from The Drummer's Complete Vocabulary (as taught by Alan Dawson) by John Ramsay. It's a great book, which outlines legendary drummer and drum instructor Alan Dawson's method. I continue to work on playing the ride cymbal, and further developing my independence. I just finished a large composing/arranging project as I just toured and recorded with a new band called Turboprop. The band is a sextet featuring Tara Davidson on Alto/Soprano Saxes, Joel Frahm on Tenor Sax, William Carn on Trombone, Adrean Farrugia on Piano, Dan Loomis on Bass and myself on Drums. I composed a bunch of the music, and I arranged all except a couple of the tunes. We will be releasing our debut album on ANZIC Records in the fall of 2014. This was a fun project to work on, as I had to really develop my writing for 3 horns. Turboprop is probably the project I'm most focused on at the moment, as I'm listening to the recorded tracks, and getting prepared for editing and mixing. I've been very active with Myriad3 (piano trio with Chris Donnelly and Dan Fortin) over the past year, and we are very excited about the coming year. We will be recording our second album for Alma Records, and will be doing 3 tours across Canada, including (grant pending) a tour of the Canadian Jazz Festivals. Also, a piano trio that I play with based out of NYC will be releasing our second album some time in 2014. The album was actually recorded a couple of years ago, but our bassist (and editing/mixing/mastering engineer) has 2 young children with a third on the way, and the editing/mixing/mastering has taken a little longer than expected! The band is called MEM3 and it features Michael Cabe (from Seattle) on piano and Mark Lau (from Sydney, Australia) on bass. 6) How has your experience as a composer/arranger influenced your drumming? How has your drumming influenced your writing? I think as a drummer, you can always be thinking as a composer/arranger behind the kit. We play such a dynamic instrument, and I find that the drums can really help to dictate the shape, and contours of a song, whether you're in the head or the solos. I try to think compositionally and dynamically whenever I'm drumming. In terms of composing, being a drummer means I have a pretty solid grasp on meters and rhythms. I tend to write rhythmically complex tunes, but I also strive to write really playable tunes with an emphasis on interesting and compelling rhythms. 7) Years ago you had the opportunity to spend some time in New York City studying at the Manhattan School of Music. What did you learn from this experience? 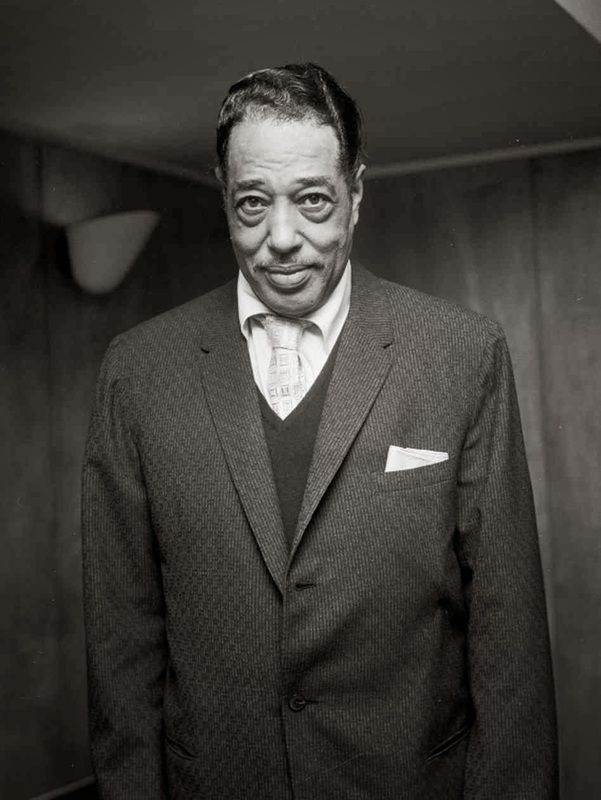 My four years in New York City were perhaps the most formative years of my life in terms of growing as a musician. While I was there, I was able to turn all my focus to music, and I spent every day practising, performing and composing, etc. It was an incredible period of growth, both personally and musically and I feel that those four years have greatly shaped me into the drummer/musician I am today. My approach behind the drums is definitely influenced by my time in NYC. Also, I was very lucky to be able to study at the Manhattan School of Music. I studied with some fantastic teachers, and I met some amazing people and musicians. Some of my closest personal and musical relationships came from my time in NYC, and I continue to play with many of those musicians today! 8) What musical and career advice would you give to a young person who is considering a career as a Jazz drummer in this day and age? In terms of musical advice, I'd say listen as much as you can, go see live music as often as you can, and play with people as much as you can. Also, constantly remind yourself that as a drummer you are an accompanist first and foremost. 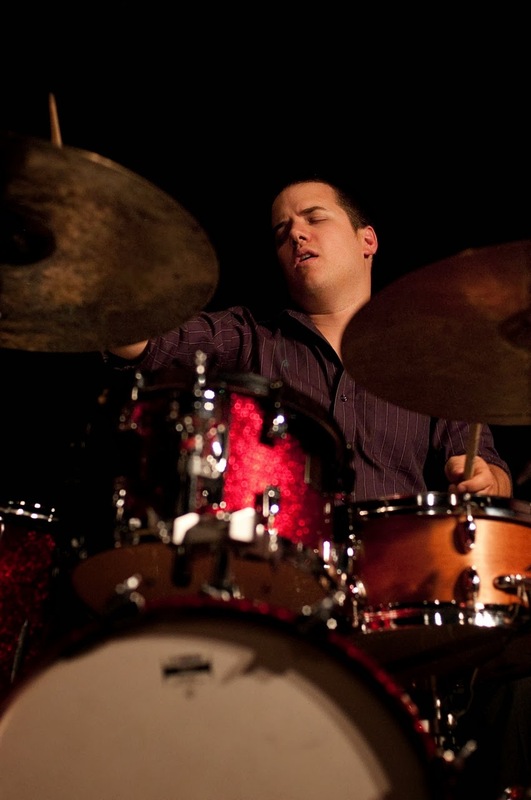 Drums can be a very exciting soloistic instrument, but generally our favorite drummers (and other musicians favorite drummers) are fantastic accompanists first, and wonderful soloists second. 9) Your most recent trio recording project with the Myriad3 “Tell" brings together some different sounds and influences. Please tell us all about this exciting project, the music and your compositions. Myriad3 is a special band. All three of us are very passionate musicians, with very different backgrounds and approaches to the music. Chris is a classically trained pianist who is still active in that scene as well as being a ridiculous jazz piano player. He's technically one of the most gifted piano players I've ever played with. Dan Fortin is a wonderful jazz bass player, and he's also very active in the indie rock scene. I studied classical music extensively, and also had my development rooted in the big band scene. The band came together by accident. The first time we ever played together, it was because another bass player injured his back and Dan subbed in. The second time we played together it was because a piano player had to sub out last minute, and Chris subbed in. After that gig, we realized that it was a good combination, and we started playing together a lot more! The band is a true collective, as we all contribute tunes and we all contribute to the arranging of all the tunes. We also share all the other responsibilities of a band leader (ie. booking gigs/tours, applying for grants, etc.) The band rehearses weekly (whenever we are all in town) and we are constantly working on developing new repertoire. In the short time we have been together (about 2 years) we have already toured across Canada a number of times, and in Europe. I've contributed a number of tunes to this band, and the tunes run the gamut from rhythmically complex to really rhythmically and harmonically simple. I'm not sure I can describe it any better than that....best to check it out and judge for yourself! 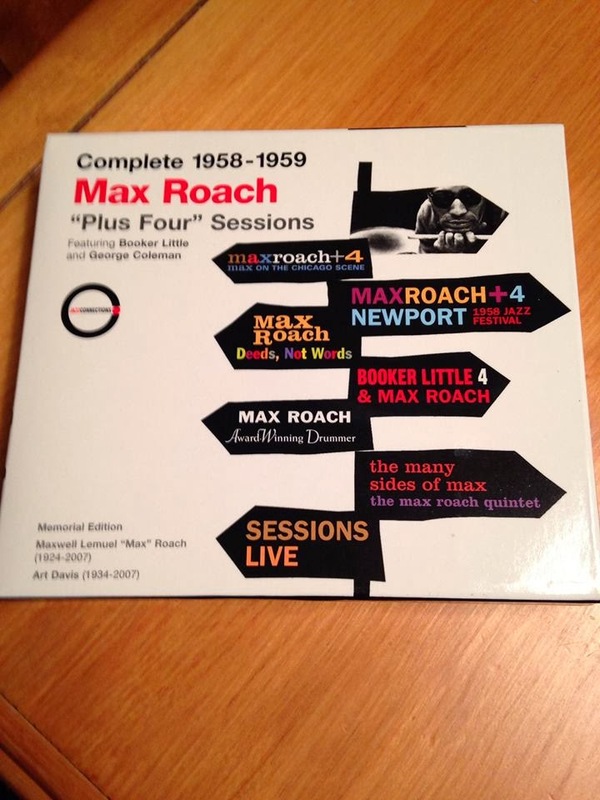 Kenny Washington strongly recommended that I check out this music to study Max's approach to comping. The absence of a piano on much of this music really opens things up and gives Max some space to work with and, in general, get more involved with his snare and bass drum while comping. Oh yeah, Booker Little and George Coleman are also killing it on this music! Happy New Year everybody! Welcome back and I hope you all had a safe and pleasant Christmas and New Year's wherever you are. Thanks to our European correspondent David Grebil, here's a good one to get the year started off over here at Four on the Floor. He uses an interesting analogy in that the bass drum represents the "centre" of the drum set so it should represent the centre of beat. So, the next time you play your ride cymbal remember to "Walk the Dog"!